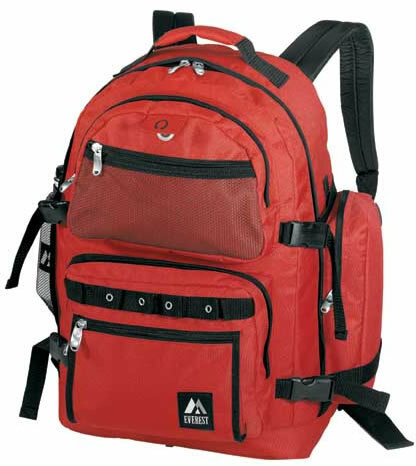 This Everest™ Hiking Pack is the backpack we use in our 1 person premium survival kit. It has plenty of extra storage room available in addition to the survival items we include in our emergency packs. You can use this survival hiking pack to carry other necessities into the woods with you when you go hiking, camping, or other outdoor activities. Your survival gear will always be with you. Dimensions: 13.5" x 20" x 8". When used as a bug out bag, such as a 72 Hour backpack kits, you will have a comfortable pack to carry if you need to leave the area. Carrying around a load on your back can be uncomfortable to say the least. With a quality Everest™ Hiking Pack, it will be something less you have to worry about. This sturdy and beefy backpack is truly multi-functional. It has many pockets for extra storage. 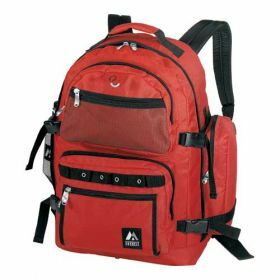 Obviously, this backpack is versatile; it can be used as a bug out bag or as a hiking pack.